I’m sitting at the iHub this morning, after just having given my welcome to the 40+ Nairobian hackers who have descended upon the place. 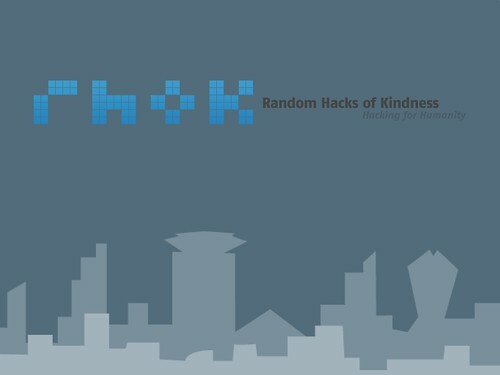 They’re here to take part in the global Random Hacks of Kindness (RHoK) hackathon to develop tech solutions to pressing needs in crisis and disaster response. It should come as no surprise that Nairobi’s technorati are well-versed in mobile solutions, that’s quickly becoming a competitive advantage in this city. So far we have groups coming up with solutions for amputee registration via SMS and USSD, An SMS solution to create distress texts, improvements to people finder apps and tracking of mobile payments. This event goes through Sunday afternoon, it’s a full 36 hour hackathon. Watch as the devs in Kenya work with their counterparts in Australia, Indonesia, Brazil, the US and UK. Keep an eye out on the above resources to see what comes out of Africa!